May 12, 2015 By David A. For many baseball lovers their worst nightmare has now come true: The New York Yankees are good. The Yankees have completed just 20% of their 2015 Major League Baseball regular season and it is already obvious that the 2015 Yankees are strong and will battle for the American League East title. Prior to the season, some thought the Yankees would be strong. However, others thought it might be like an old play with comedy, tragedy and a bit of satire, as the lineup was too old, the pitching staff too prone to injury and the return of Alex Rodriguez to distracting. Instead, of being distracting Rodriguez has become the slugger for the Yankees, who are now in first place with a record of 21-12 and four games in front of the second place Tampa Bay Rays. 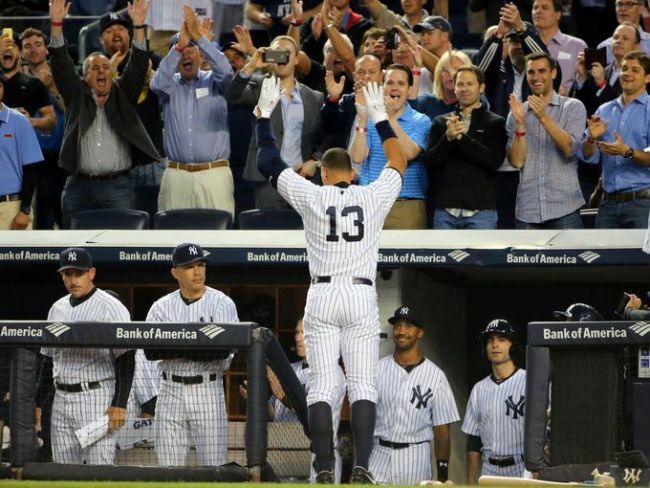 On Monday, the Yankees beat the Rays 11-5 with five home runs including the eighth by Rodriguez. 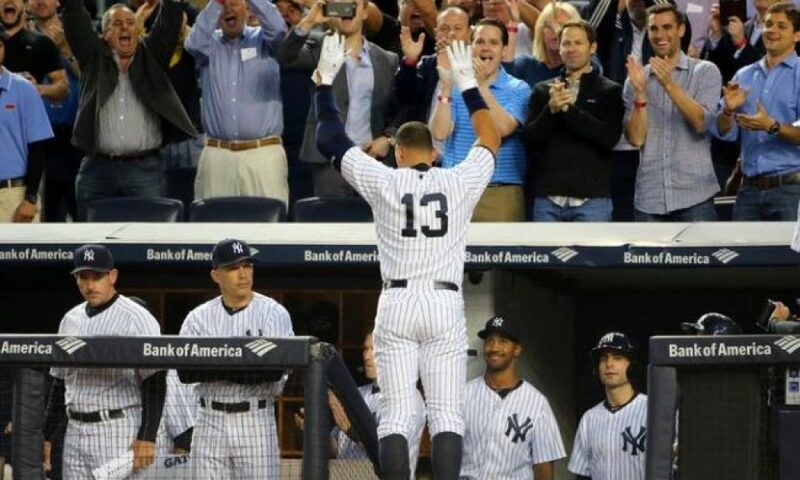 New York now owns the best record in the AL and Rodriguez for the time being is quieting his critics and those who thought he might have been or should have been released by the club. The Yankees look very strong after just 33 games and it all starts with the veteran Rodriguez who at one time was the golden child turned pariah who is seeking redemption. He may not get the redemption he deserves, as he remains one of the most disliked players in baseball, but he has 8 home runs and 20 RBIs and has become the anchor in the Yankees batting order. Of course, New York has received great play from Brett Gardner and Jacoby Ellsbury as well. Gardner had a three-run home run on Monday and is hitting .308. Ellsbury did not play Monday, but he is hitting .341. While a number of teams have had problems getting production for the first three batters in their lineups, the Yankees are now second in baseball in OBP at the leadoff spot and fifth in baseball in OBP at the No. 2 spot. 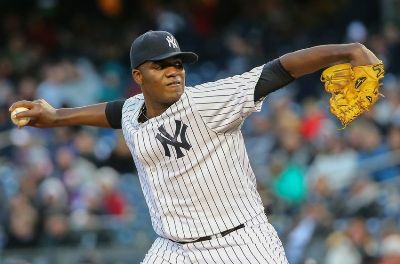 Michael Pineda, who is the team’s new ace, might be as valuable to the team right now as Rodriguez is or even more valuable. The new Yankees ace is 5-0 with an ERA of 2.72. His strikeout to walk ratio is an amazing 54 to 3 in his seven starts. CC Sabathia was even the winner of his first game on Monday after throwing six good innings before tiring and allowing a pair of home runs during the seventh. He is not what many remember of Sabathia of years past, but will be a solid end of the rotation pitcher for the Bronx Bombers. Throw in the bullpen giants of 6-foot-7 Andrew Miller and 6-foot-8 Dellin Betances, who have not given up a single earned run over 35 innings while fanning 56 and giving up just 11 hits, and you have the makings of a legitimate contender.